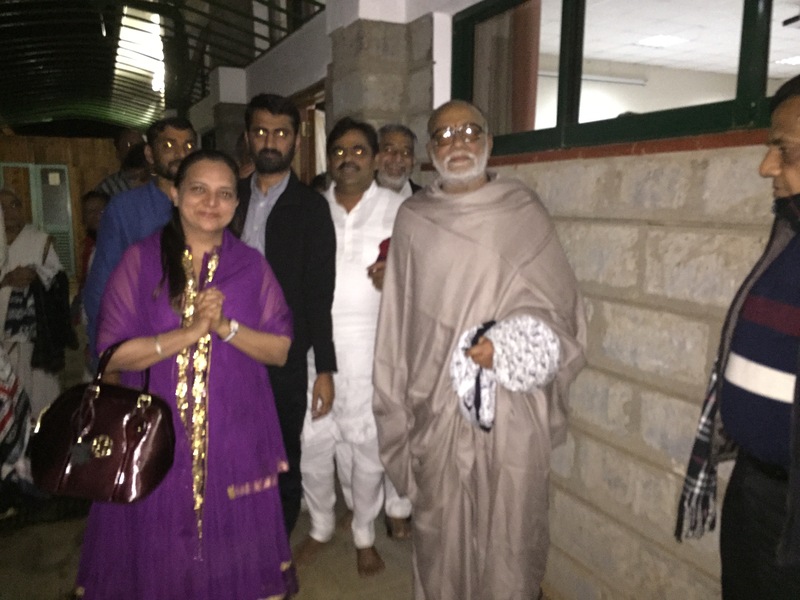 I had heard a lot about Morari Bapu and when I did meet him in person, I found him to be so simple and also a great orator. When I heard him live at Ebedor Club this July, I was really impressed with his simplicity, of accepting everything around him. I was ready with my questions when I went to see him. He was straight forward and answered them all. When I was chatting with the sponsors of the event, I found that no matter what kind of background they came from, Bapu has been successful in impressing and educating all segments of the society. The Katha rendition was mostly in Hindi and Gujarati but I found an American old lady enjoying every bit of it. Perhaps the language of the heart is universal and is not bound by any artificial boundaries. The best part of Bapu is, wherever he goes, he promotes grass root talent, people who come from very humble backgrounds. He promotes them in different countries and helps them connect with a larger audience. This time he had brought some of the best and famous poets, standup comedies, writers and other performers from Gujarat. Were it not for Bapu, these skilled individuals would not have been able to travel, meet people and impress the world. Smritiji was actually injured when I went to her office in Delhi in November 2014 during my visit to World Hindu Congress. The event opened my eyes about what is happening in the hindu societies across the world. It was pleasant and sad feelings together. 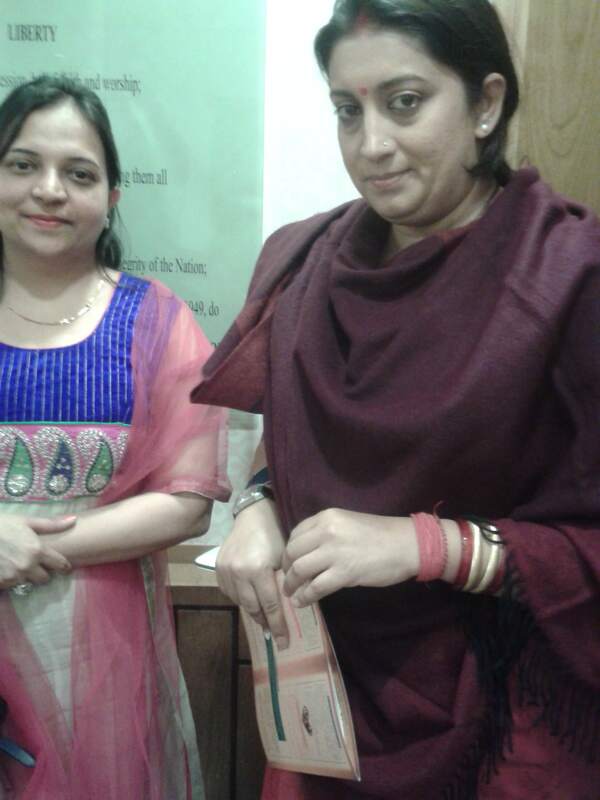 Anyway, she liked my ideas about the reforms in education system required and expected from the new government. I also proposed her to come to Kenya and be our guest. 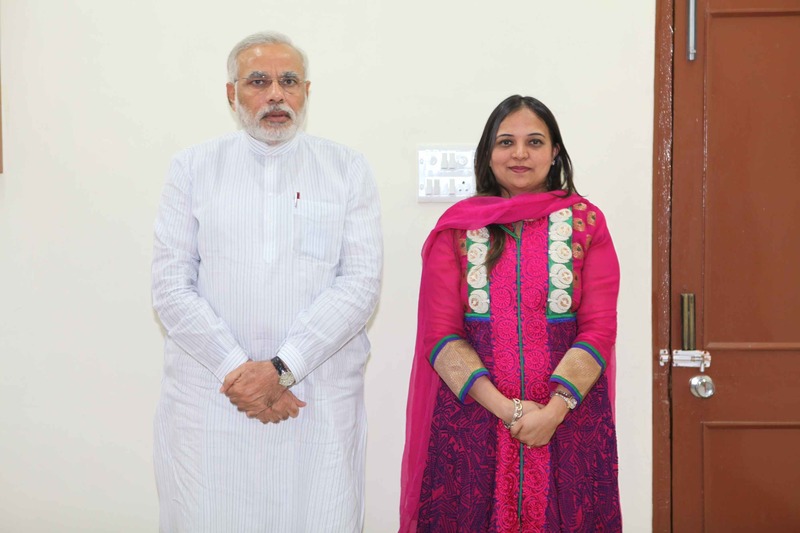 It was a great pleasure to meet Modiji personally in Gandhi Nagar during the parliament session in February 2013. After going through the formal process of his office, the staff outside was wondering why I want to meet Modiji. 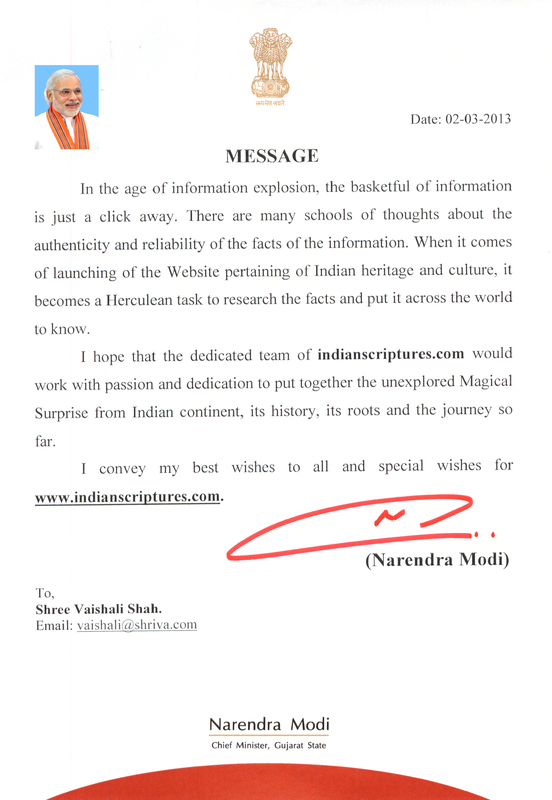 But when he spent more than 18 minutes with me explaining how my project of http://www.indianscriptures.com can be taken forward, their fingers were in their mouth. As expected from a great leader, Modiji helped me with all the possible queries I had. He connected me to the right people who had knowledge of our scriptures and could answer atleast few of my 500 questions I had prepared. He allowed me to take a photo with him and ensured that the photo is delivered. After I spent three weeks meeting those people I informed the CM office. He even spoke to me on the phone before I left India asking if I could manage to meet all those people and if I got the content.